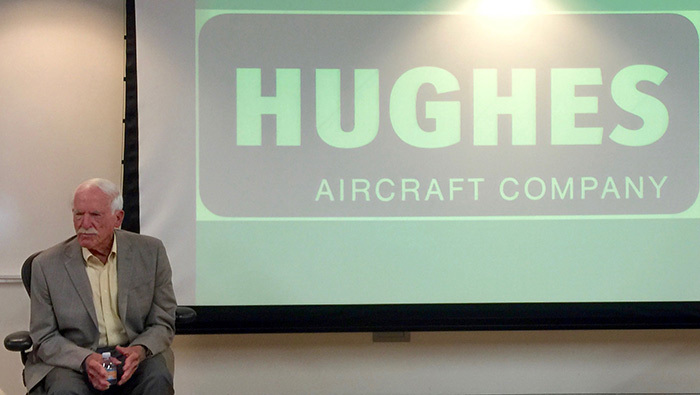 A history of Hughes Aircraft Company was presented by past president D. Kenneth Richardson, at the Playa Vista Library, this past April 15. Richardson is author of the book “Hughes After Howard” . Marina del Rey Historical Society co-sponsored the event with Hughes Retirees Association, Friends of Playa Vista Library, Society for Information Display, San Diego Air & Space Museum, California State University, Fullerton Center for Oral and Public History (COPH) and Black Gold Prints.